More than 2,000 marched along Oxford Road on Thursday as part of the annual Reclaim the Night event. The march saw students, families and campaigners alike protesting sexual violence and street harassment in the city. Protesters came armed with colourful placards, chants and megaphones as part of the demonstration. According to the Crime Survey of England and Wales, 20% of women over the age of 16 (3.4 million) have been subject to sexual harassment compared, compared to only 4% of man (631,000). 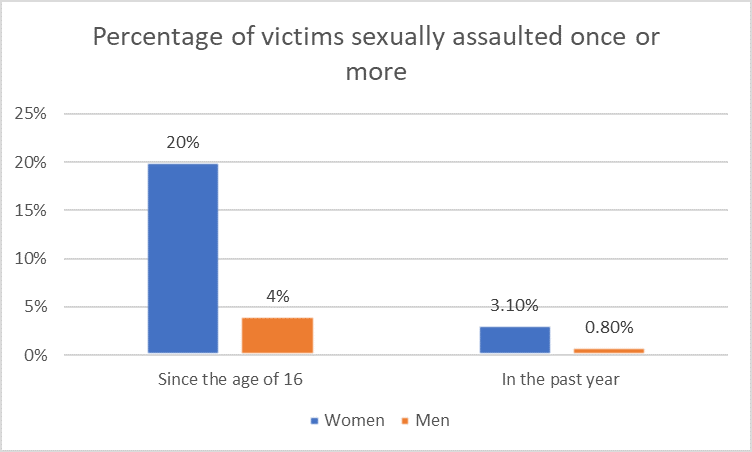 Meanwhile, 3.1% of women (510,000) and 0.8% of men (138,000) aged 16-59 experienced a sexual assault in the last 12 months. Reclaim the Night first began in Leeds in 1977 in response to a police curfew stopping women from being out at night whilst the Yorkshire Ripper was still active. Since then, dozen Reclaim the Night events have taken across the country. This year’s march moved down Oxford Road, starting in Owens Park, Fallowfield, and ended at the University of Manchester Students’ Union. The Northern Quota spoke to protesters about the importance of Reclaim the Night. “I don’t know about you, but I’m here because misogyny and violence against women and girls and people who present in a femme way is still pretty rampant on our streets,” said Jenn Hobbs. Fern Cooke said: “I just think it’s important to protest and march. “There’s a lot of stuff that happens around here with students, especially girls walking home at night. A lot of them do fear for their safety. It’s important to show that we aren’t afraid. People should have to be afraid. Fellow protestor Amanda Williams said: “We’re here tonight to reclaim our right to walk on the streets alone at night.